After indulging in cheesesteaks, we obviously needed to get dessert. 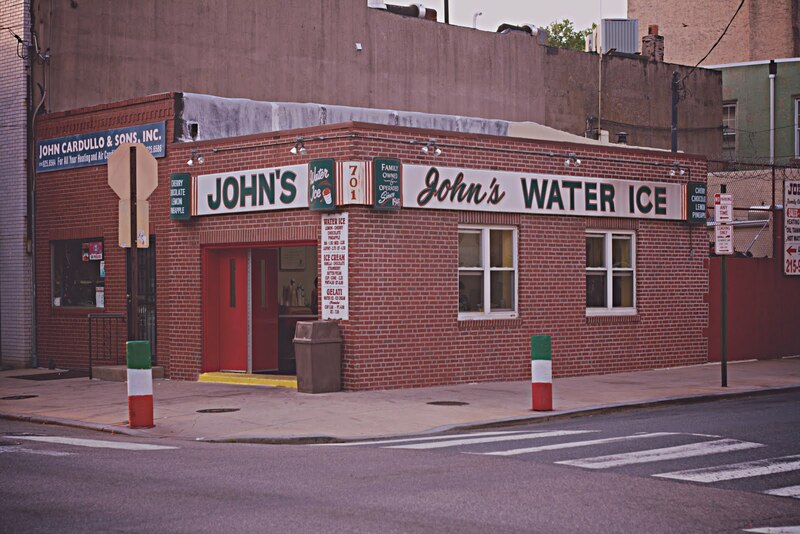 A short stroll away from Geno's and Pat's is John's Water Ice. Vanessa, who now lives in Sweden but is from Philadelphia, suggested that we go to John's. Actually, she basically planned our entire trip to for us! 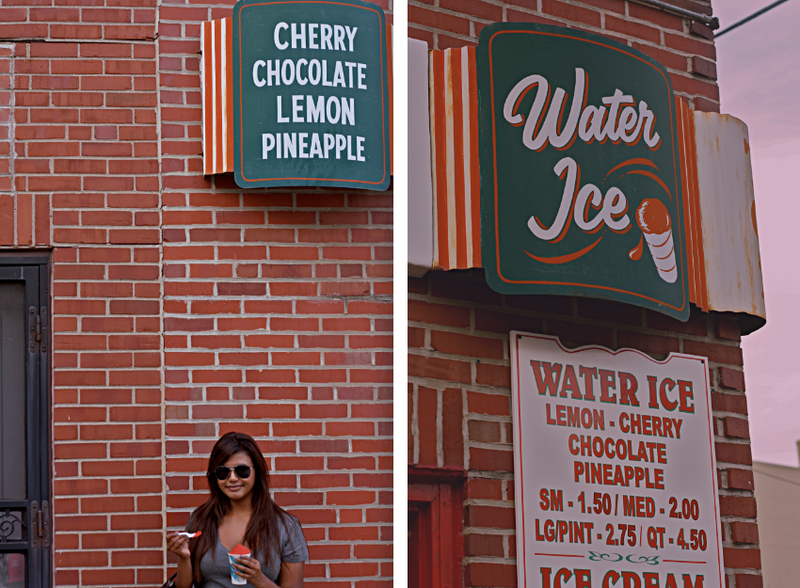 We had never even heard of water ice before we went to Philly, but they sell it on pretty much ever street corner. We ordered chocolate and cherry. I would equate the flavour to a crushed Popsicle and the consistency to a really frozen Slurpee. The guy in front of us was buying a whole quart of lemon. We would totally have some handy in our freezer at all times if we lived there. It was so refreshing. Thanks for the tip, V! I just tried my first water ice this past weekend in LA. The place was founded in Philly though. It's sooooo good. I had this thing called the joe latti which was the ice (mango) and soft serve ice cream (the best soft serve ice cream ever). I will dream of it until i can have it again.... yum. Water ice and soft-serve together?! That sounds amazing. i just showed my friend your awesome blog. 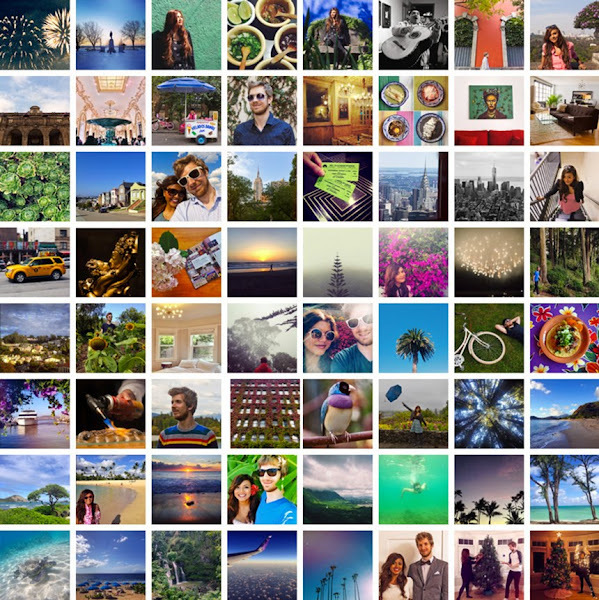 this looks so awesome! asdid the cheese steak. Glad you guys are enjoying philly. I've never even been! Yum that looks very good! I would love to try it. "Water ice" is a bizarre name. Yum! That place is right by my house! i could probably leave a comment for every post you did on philly being that's my sometimes hometown and alma mater but i think ill just stick to the food topics, bc, well, its food. my fiance' is from more of the NYC area and they dont call it water ice up there. they get more specific and call it "italian ice" or "irish ice" depending on the brand. to me? 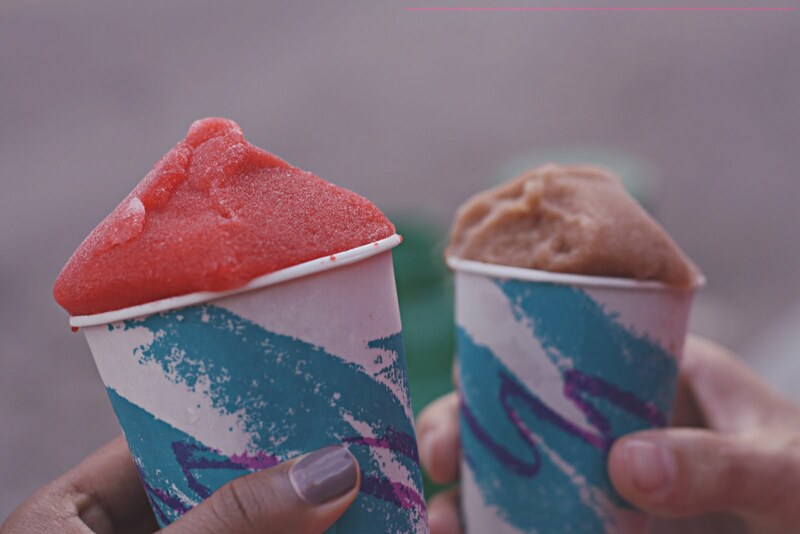 it will ALWAYS be water ice (to be pronounced WOODer ice, btw). i would take vanessa's word on pretty much everything.